A new workout option perfect for the data-obsessed. Boutique fitness studios are popping up all over the city. And, the popularity of fitness trackers that measure everything from the number of steps you take to the number of hours you sleep is likewise skyrocketing. 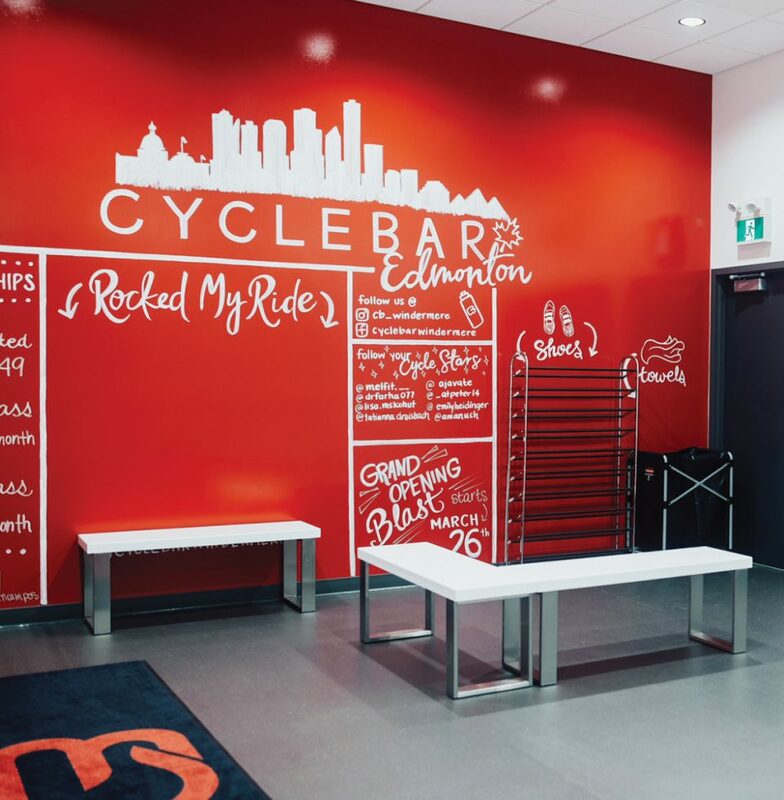 CycleBar, a recent addition to Windermere – the first western Canadian location of the franchise – combines the two in a unique experience. After each class, each rider will receive an e-mail with his or her CycleStats, which includes caloric burn, RPM, and average max watts (the amount of power generated on their bike). “It’s tangible, measurable data,” says lead instructor Dr. Farha Shariff. It allows riders to track their progress and even includes a list of the songs played during the class, so you can add your favourites to your own workout playlist. “I always say, it’s more than just riding a bike in the dark,” says Robb. This article appears in the September 2018 issue of Avenue Edmonton. Subscribe here.